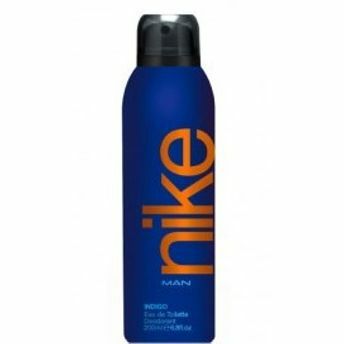 Nike Indigo Man Deodorant Spray in India. No need to worry of sweat odour anymore, as Nike Indigo Man Deodorant is here to rescue you from disgusting odour problem. Part of a Colours range from Nike, this deodorant is infused with citrus spice. Provides 24 hours protection and freshness. Top notes: lavender, lemon, pepper. Middle notes: orange blossom, neroli. Base notes: sandalwood, ebony, cedarwood, amber. Additional Information : Nike is a Spanish perfume brand founded in 1929. Designer Nike began his business with 31 perfumes. Nike Indigo Man Deodorant is a rich treatment of finely blended ingredients. Explore the entire range of Deodorants/Roll-ons available on Nykaa. Shop more Nike products here.You can browse through the complete world of Nike Deodorants/Roll-ons .